Buddha #5 is now at home on my desk. 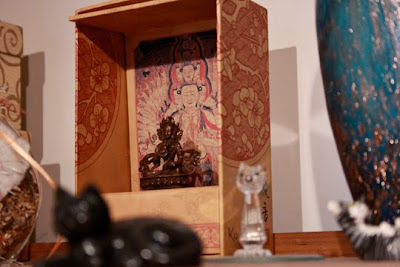 He's sitting on a Kuan Yin altar amongst some kitties and other stuff. Hopefully, just like the Buddha at work, this one will help to bring some calm and peace over and around my desk. It's a disaster at the moment.